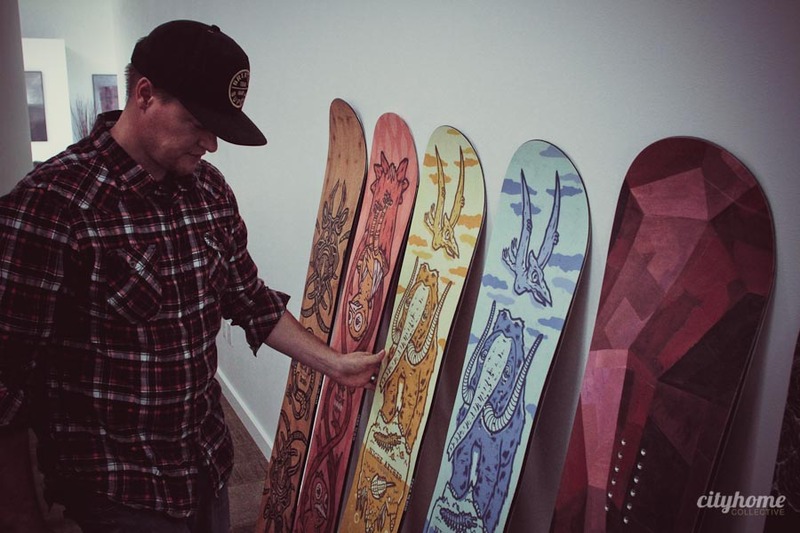 Once upon a time, a snowboarder named Dustin Morrell wanted to build his own board -- and design a great one -- not just for him, but for the masses. He set up shop in his SLC basement and got going. Sadly, the materials he had to work with were so toxic that the experience was uber nasty and hive producing. Not sadly, this scene sparked the beginning of NICHE. First things first: it’s pronounced "nitch," not "neesh" [unless you’re Canadian, or European, or so high-brow that you can’t help yourself, in which case, you are excused]. 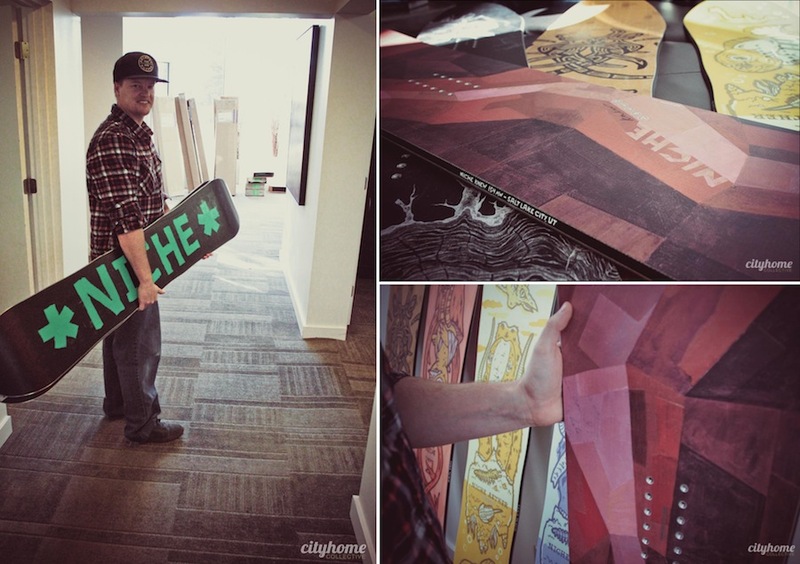 Recently, we had the complete pleasure of chatting up Dustin and his tight crew at the modern, swanky-yet-not-stuffy, headquarters of NICHE snowboards -- which, by the by, is one of the only sustainable, eco-friendly snowboard manufacturers. 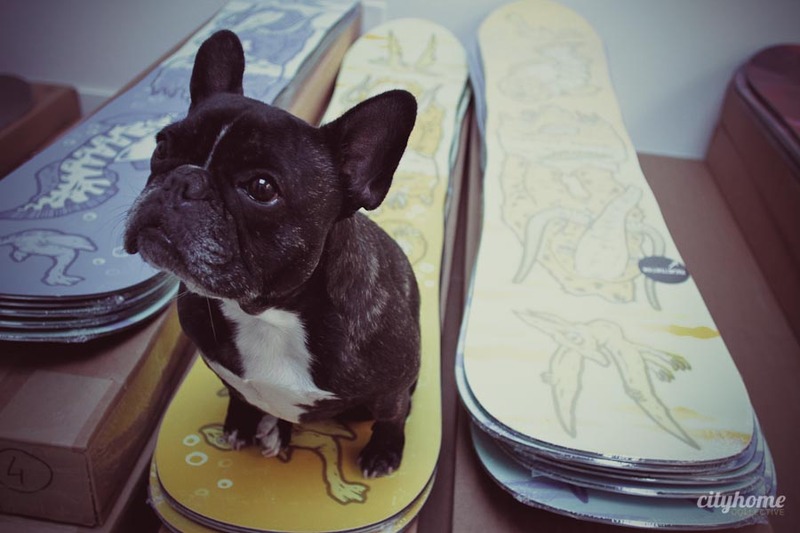 If and when you pay these peeps a visit in Holladay [they LOVE visitors], you’ll likely find a few French Bulldogs roaming the halls, stacks of quality boards ready to be shipped, and a group of people truly psyched to be doing what they’re doing. 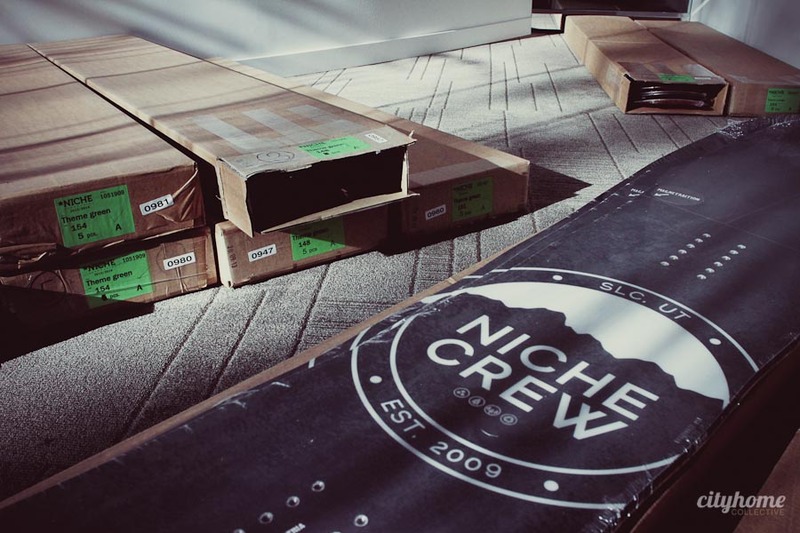 Before NICHE made their eco-friendly, design-forward boards, months of testing happened. 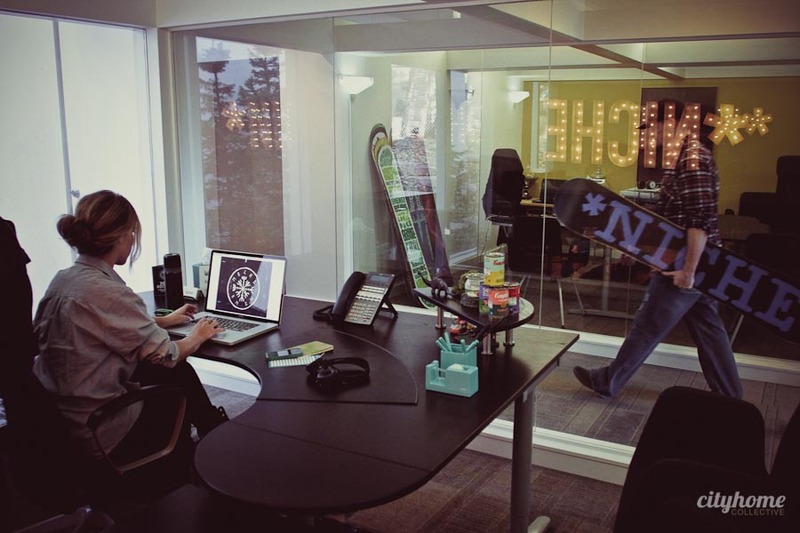 Nobody wants a “green” snowboard that can’t perform. 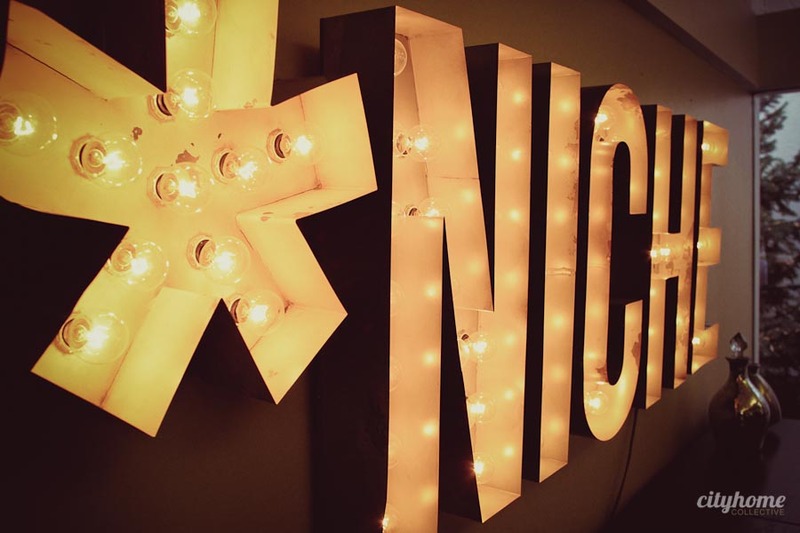 NICHE hit the good-intentions jackpot...turns out, much of the eco-friendly materials they tested performed better than the toxic sh*t. This means you just found a spot to knock out a Christmas gift or two. Below are a few of the crystal-coolest touch points on this locally-designed, mindful line of winter rides. 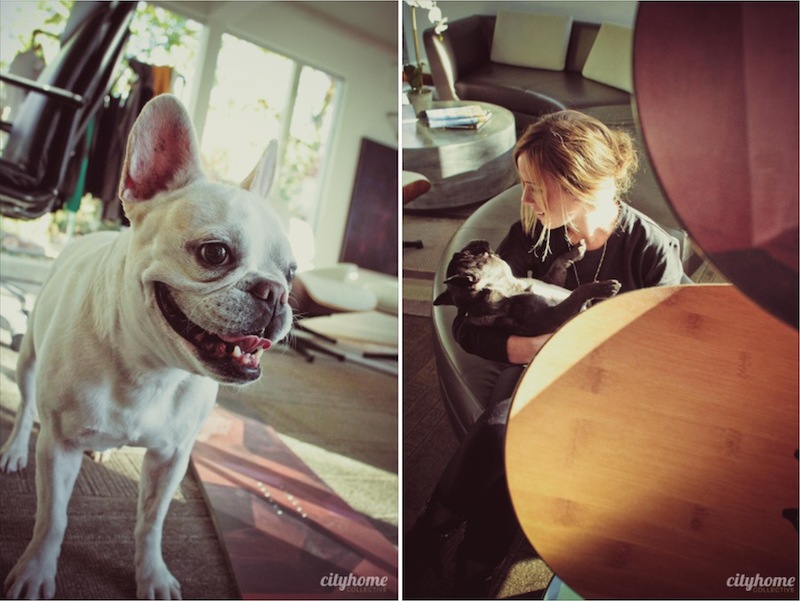 NICHE boards are made with recycled bases, recycled edges, and basalt fiber. The boards have a mat finish from the pine-based bio resin that is so safe, some say you could eat it [don’t]. These materials make the board durable, snappy, and elastic which is the perfect personality profile for a solid board -- and, they’re light. With most of the eco materials they needed residing in Europe, it made sense for NICHE to partner with Global Sports Technology in Austria. One of the most revered board manufacturers in the world, GST not only puts the pieces together, they help test the product to make sure it is beyond up-to-snuff. Click here for more specifics on all that good stuff. 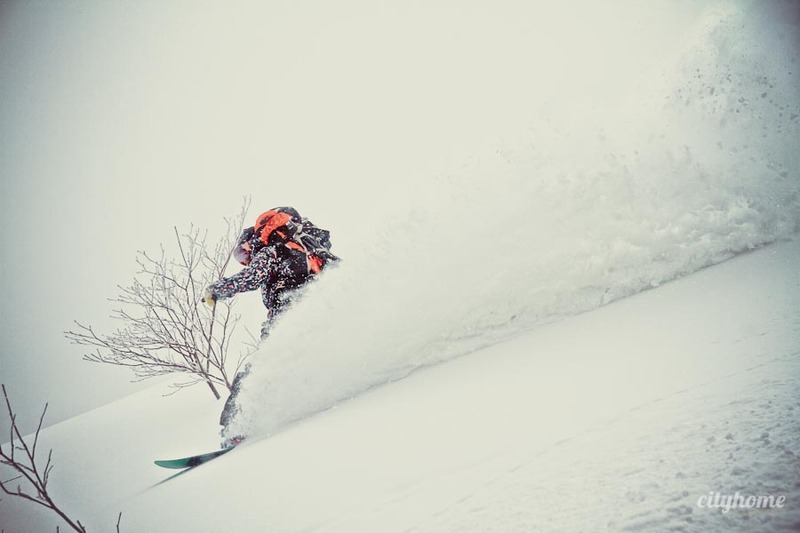 As this snowy season ramps up, it will mark NICHE’s third winter selling to the masses. 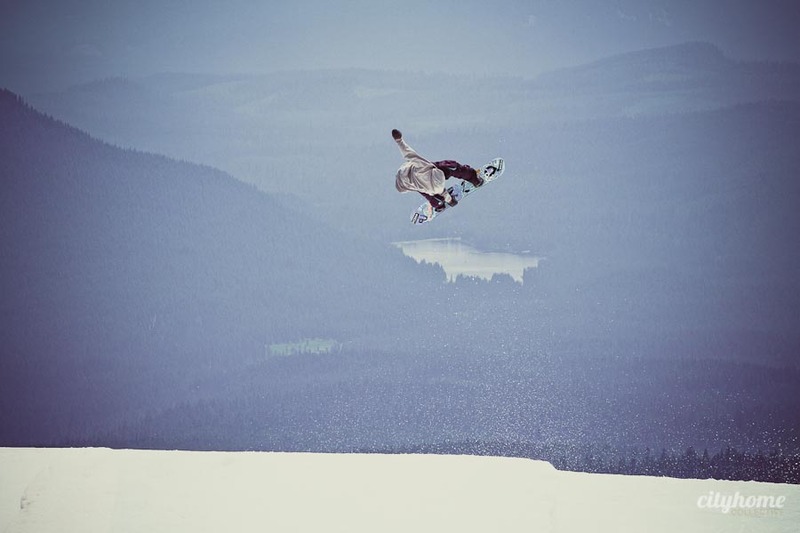 Canada is its fastest growing market, with Europe a close second and Japan’s customers noted for often buying 2 boards at once [one to ride, and one to display in the house as art]. Peruse the design and eco-conscious selection on their website below, and shop where you see fit: Milosport, Marty’s Boardshop, and Backcountry.com can all deliver. 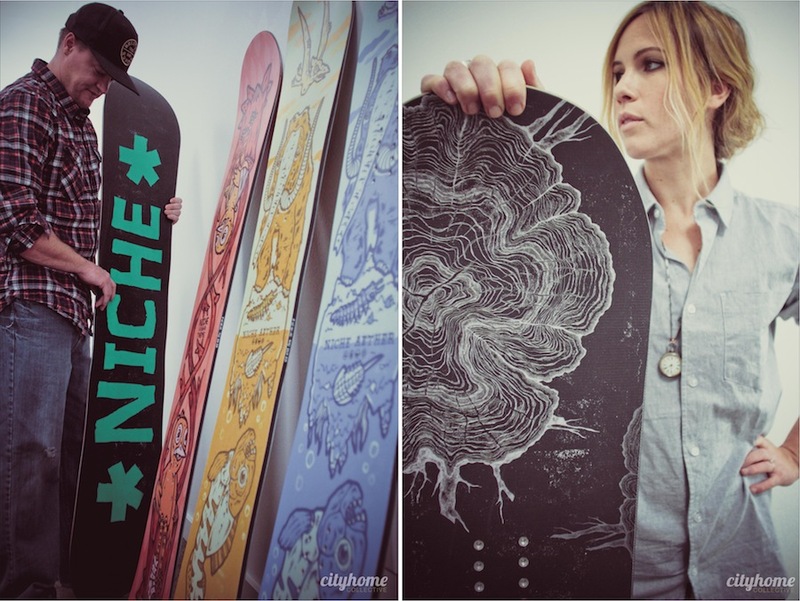 Or you just swing by NICHE HQ, demo a board, and do a little R&D for yourself. a fresh dose of city culture, new listings, and top-shelf design will land squarely on your virtual doorstep.